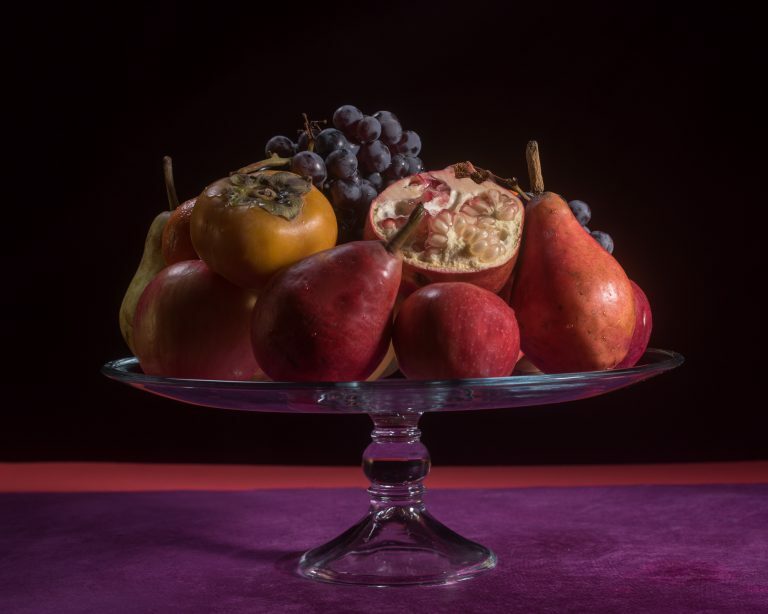 The idea is to use a variety of winter fruits that have a variety of shapes and colors. Rinse and dry the fruits and keep them refrigerated until ready to assemble and serve in the bowl. It is a good idea to use a knife and cutting board on the side so people can cut them into pieces or share them. If you are using oranges it is a good idea to have a bowl to collect the peels. You can also peel them prior to service. Watch your guests and family members discuss which apple they like best or try to guess what a persimmon is or the best way to take apart a pomegranate. It is even a great idea to serve fruit as dessert! The variety is always nice to break the ice and encourage sharing and conversation at the table. 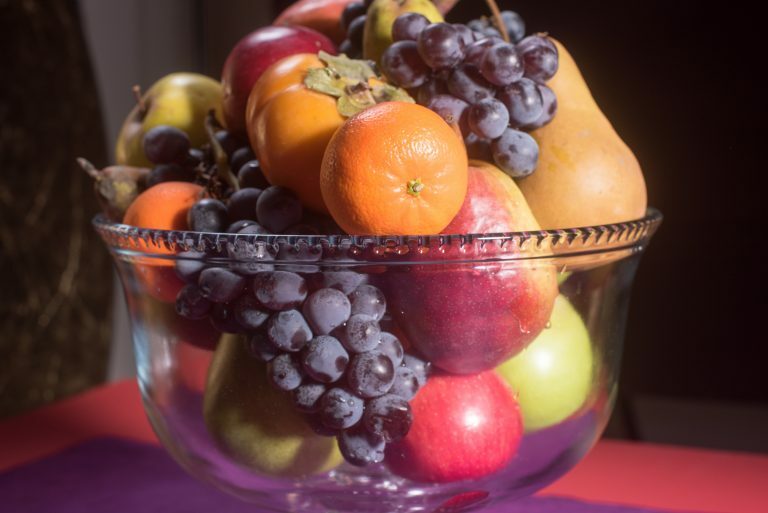 We would use these fruit bowls as centerpieces or for a dessert table. You can use a trifle bowl or a cake plate. Check out this article for using fruit platters as desserts. 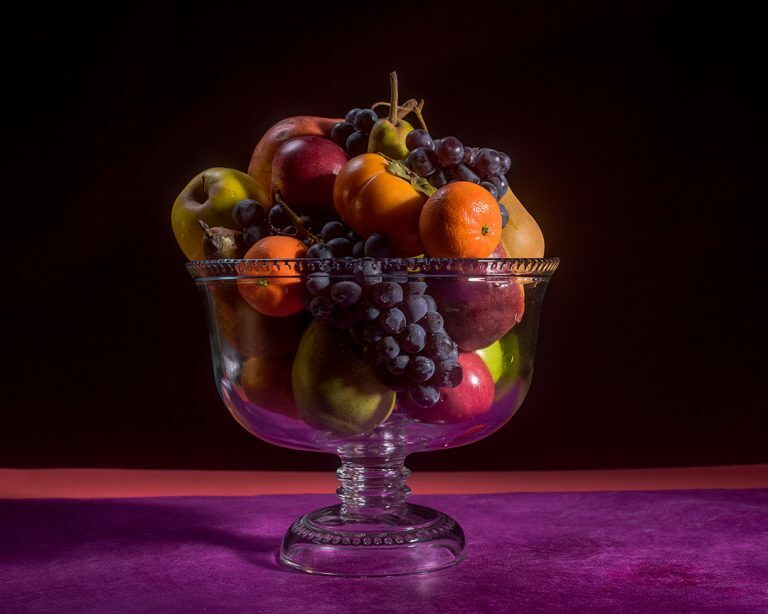 It is always great to use complementary colors in your fruit arrangements. See more examples here in the year long food art portfolio that I created.